Heavenly! Those must be so enjoyable. I do like cheesecake, but I'm pretty sure I'd love these cupcakes! I would much rather make & eat these than cheesecake any day! They look spectacular Grace. Grace, your cupcakes always look so good, tempting...and this one is no different. 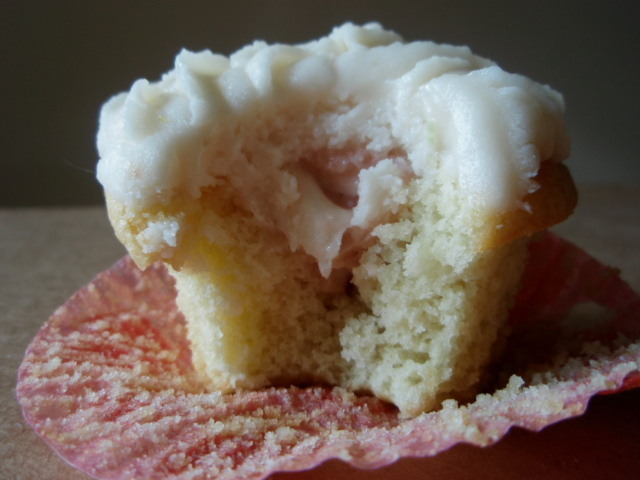 I wish I could have one of this moist and tasty cheese filling cupcakes...love the strawberry with cream cheese. Cheesecake and strawberries both make me very happy. And, I imagine these cupcakes would make me very happy as well. Look at that pretty filling! They look great. Unfortunately I love cheese cakes and cupcakes oh dear! They look absolutely delicious! Love that filling! Strawberry cheesecake cupcakes sound genius! the cream cheese and strawberry pie filling sounds scrumptious! I love cheesecake...but you're right. There's something way more gratifying about cupcakes. And these may be just as much work, but look at all the different components you get to make (and taste test!) whereas with cheesecake it's just...one cake. Ha! Like you I am also picky about my cheesecake and I think these cupcakes have all the creamy goodness without that weird cheesy lumpy feel! a cupcake with a cheesecake twist, oh I there!! Such a problem...I love good cheesecake, but I also love a good cupcake. I'll take a cupcake over a cheesecake any day of the week. Love strawberry season! I saw these in my inbox -- well the photo anyway -- and wished they were real. Admiring from afar and sighing heavily while trying not to inhale stray calories. The end result is what matters! I just made a cheesecake this week and, yes, they are a ton of work. Great idea to turn it into cupcakes. Patelitos de lujo son adorables siempre esponjosos,abrazos hugs,hugs. 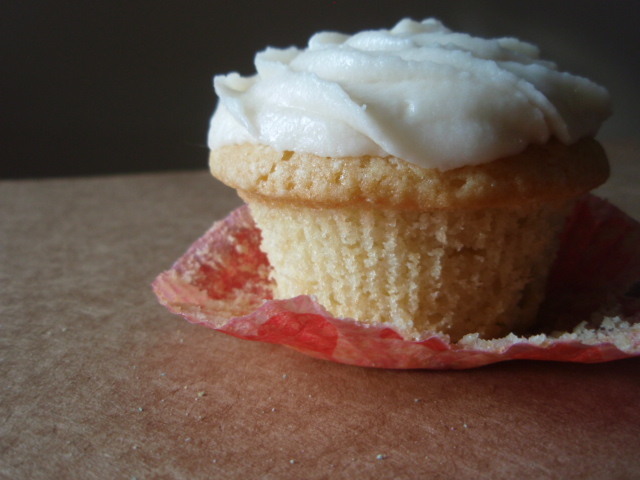 Besides all the benefits you have mentioned about cupcakes, they are CUTER! You are right Grace, cheesecakes are so much work. I love the looks of your cup cakes and wish I had 2 or three right now! I've been getting ready to have a yard sale, and I feel I need sugar! Of course, if you love the result, the amount of work is rather irrelevant. These sound like wonderful cupcakes (says the cheesecake lover). The only cheesecake I make is a no-bake one that you stick in the fridge and it sets! I love cheesecake and cupcakes, ok dessert of any kind really. these look delish! Pure pleasure is most definitely earned. The work is worth the reward; especially in this case. Another beautiful cupcake Grace! I just made these and there is a ton of filling left after filling 20 cupcakes. I worked hard and I'm afraid they r gross. if you have leftover filling, it'll keep for a week or two for sure--there are many other ways you can use it! gross? that's just not possible! You are right, after a night to chill they r good. Sorry I jumped the gun:) Got a Angels Food Cake--gonna use filling and left over pie filling to make a truffle. Sorry again. phew--i'm glad it worked out! using the leftovers to make cake truffles is brilliant--let me know how they turn out!